"I made this randomly and it was delicious." Meet the perfect weeknight one-pot chicken dinner. This is a very 'basic' recipe to start out with, but it needs a lot more herbs in it, in order to make it tasty. Chop up and add in some fresh Parsley, Thyme, Rosemary and Sage. Extremely simple and my family loved it too. I would recommend pounding the chicken flat in order to get uniform thickness for cook time. I've been making this all week for my dinner! So good! And easy too! 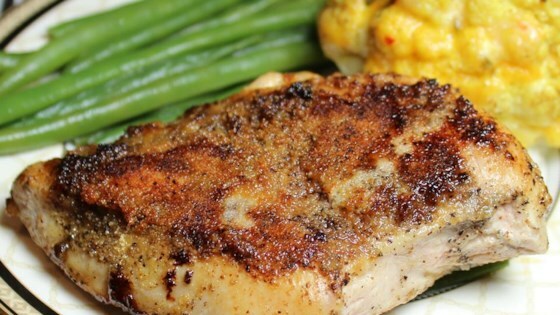 It has perfect flavor (not too overpowering), with a moist tender inside and a crisp garlic crust.